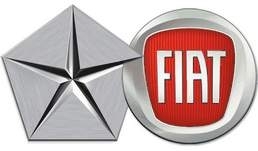 DETROIT -- Fiat S.p.A. and Chrysler Group may seek to combine with another automaker to increase efficiencies and cut development costs, Sergio Marchionne, chief executive officer of both Fiat and Chrysler, said. "There may be a third partner," for the two carmakers, Marchionne told reporters at the Detroit auto show on Monday. "You need to build a new level of efficiency." PSA/Peugeot-Citroen, Europe's second-largest carmaker after Volkswagen, is ready to discuss a possible alliance with Fiat, Italian newspaper Corriere Della Sera reported on Tuesday, citing "authoritative" sources. Later on Tuesday, Marchionne denied that any partnership discussions have taken place with PSA. "I have not discussed a thing" he told journalists. PSA spokeswoman Cecile Damide declined to comment. On Monday Marchionne had said a third partner can be "of any color you want if it gives me the level of industrial convergence I'm looking for." To create the necessary car-making efficiencies, automotive groups need to build from 8 million to 10 million vehicles a year, Marchionne said. Currently only General Motors Co., Volkswagen AG and Toyota Motor Corp. are producing at or near that level. Fiat and Chrysler together sold about 4.2 million vehicles in 2010, the CEO said last month. Fiat may globally lose 500,000 vehicle sales annually as a result of the European debt crisis, he said. Fiat-Chrysler deliveries will total about 4.9 million autos in 2014, based on the average estimate of 10 analysts surveyed by Bloomberg News. "This is a volume business," Marchionne said in an interview with Bloomberg Radio. "We need to see whether other opportunities are available." "When you look at where the volume is growing globally, you should look at the emerging markets," said Jeff Schuster, senior vice president for forecasting at LMC Automotive in Troy, Michigan. "Some of the potential partners could be coming from China, eastern Europe, India and some of other emerging markets." Europe needs consolidation among carmakers to compete with Volkswagen, which has more than 20 percent market share in the region, Marchionne said, adding that he's not in talks with anyone. In Europe, Fiat could possibly link up with Volvo Car Corp., owned by Geely Automobile Holdings Ltd., or GM's Opel division, Schuster said. Fiat plans to merge with Chrysler by the end of 2014 after reaching an agreement with the United Auto Workers union's retiree health-care trust regarding its 41.5 percent holding in the U.S. automaker, Marchionne told reporters after showing the Dodge Dart compact car. Fiat last week boosted its Chrysler stake by 5 percent to 58.5 percent. Marchionne is counting on the Dart to build on momentum from new or refreshed models such as the Chrysler 200 sedan and Jeep Grand Cherokee sport-utility vehicle, which helped the company top U.S. market share gains made last year by GM and Ford Motor Co. Deliveries climbed 26 percent, still missing the CEO's goal for a 45 percent jump. Marchionne said the decision where the merged company will be based "will be taken at the right time, which is not now." He has said instability in Italy may affect the decision on where the combined company will have its headquarters. An unelected government that took power in November is imposing austerity in the country to prevent the euro area's third- biggest economy from succumbing to the region's debt crisis. "These are tough times for Italy," Marchionne said. "The austerity is having an impact on everything. In 2008 and 2009 here in Detroit you felt the same worries there are now in Italy. They managed to solve it here, and now there's enthusiasm. Italy needs a new industrial policy." Chrysler said last week it will add a third shift and 1,100 jobs at a Detroit plant that makes the Grand Cherokee and Dodge Durango SUVs. In a statement, Marchionne said Chrysler's future is "interwoven" with Detroit. Fiat may revise its operating profit targets for 2012 as a result of the sovereign-debt crisis though any new target should overlap with part of the existing range of 1.6 billion euros ($2 billion) to 2 billion euros, excluding Chrysler, Marchionne said last month. Chrysler expects to report a profit of about $600 million for 2011, a forecast it boosted from a range of $200 million to $500 million in October. The outlook excludes costs associated with paying back U.S. and Canadian government loans as part of the company's 2009 bankruptcy. Marchionne has forecast Chrysler will post $3 billion in operating profit in 2012. Fiat's boosted stake in Chrysler was triggered by the commitment to build the Dart at an assembly plant in Belvidere, Illinois. The model is Chrysler's first vehicle on a Fiat architecture, the "compact wide" platform that underpins Alfa Romeo's Giulietta.